Fanfare, please: Wednesday, Feb. 26, is “Horn Day” in the NIU School of Music. Noted horn soloist Larry Williams is the featured performer for the event. Horn Day also will feature NIU professors Thomas Bough and John Fairfield, along with the NIU Wind Symphony. During the afternoon, participants will enjoy horn masterclasses – some might be selected for “mini-lessons” with Williams or Fairfield – and observe a rehearsal. 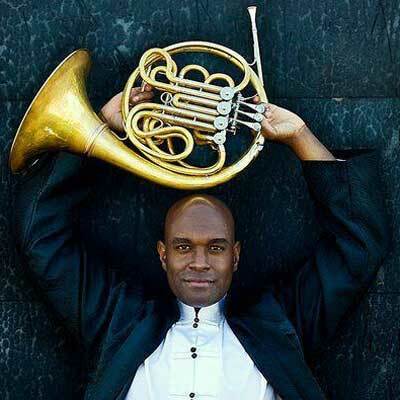 Called “an outstanding artist-soloist with fine tone, excellent intonation, superb accuracy and superior musicianship,” Williams is artistic director and principal horn of the American Studio Orchestra, principal horn of the Black Pearl Chamber Orchestra and a member of the Philadelphia Big Brass and Lyric Brass Quintet. Check-in for Horn Day participants is scheduled from 12:30 to 1 p.m. in the lobby of the Music Building. For more information, or to register to participate, call (815) 753-7971 or email kswope@niu.edu. Those who RSVP for the day should include their names, ages, schools and headcounts of the participants they plan to bring with them. NIU’s Boutell Memorial Concert Hall is accessible to all.